"The Best PDF Tool around for Engineering Industry"
I like the ability to scale on the drawing, intuitive command buttons to modify pdfs, and existence of layers and spell check into the program. The program is also able to convert some scanned documents into selectable text. The cost of the program is high due to its monthly subscription. I would love to use it on my home computer as well, even if it required being more for the initial copy, but the software industry wants the cash flow from subscription models instead, losing a potential sale. The ability to modify large reports or drawings with ease. When interacting with old pdf scaled drawings originally it was a tiring process to ensure accuracy when scaling dimensions. Using the BlueBeam Revu scale command you can size a accurate scale from aerials and old files with ease. "Bluebeam Revu for the Win"
User-friendly GUI, Design & Construction Tools, Smart search, Measurement tools, Bluebeam Studio Session, etc. Nothing in particular. It's a great software to use, even to simply read PDF documents. It's my default PDF viewer. I think Bluebeam is far more user friendly than other PDF-editing software in the market. Working in the Building & Construction industry, Bluebeam offers great set of tools to ensure collaboration. We often use the Bluebeam studio session to conduct Quality Control/Quality Assurance tasks, which allows people from remote offices to login and work on the same document at the same time. For big projects, this is a great tool to collaborate not only within your company but also with other consultants. It's smart search feature (e.g. you can search by a snapshot) allows us to look for things even in a scanned version of a drawing, which is a great time saver. In addition, we can work with the vector-based measuring tools in Bluebeam which allow a great level of accuracy when marking up specific items. "Never knew there was such a powerful app that could assist with pdf usability." Don't have time to learn more of the capabilities of the product. This product was recommended to us and we were at first a little skeptical but once using it with one license we added more licenses. Initial license was more than we wanted but the ongoing maintenance is okay. It's definitely paid for itself in our case. I utilize it to manipulate and annotate PDF documents. Our construction drawings, accounting doc, etc are primarily PDF and I can easily annotate, stamp, extract pages, insert new pages and generally manipulate PDFs to my hearts content. I use the measurement tools on drawings. It easily converts jpeg to pdf simply by dragging them in. It's just made so many of our every day tasks so much easier. Those in the office that use the standard PDF development apps want this instead because it's designed to be pretty intuitive. I use this product for PDF manipulation almost daily. At first the product is little difficult to use, but there are many online resources to show you how to easily accomplish what you need. I like that you can convert a pdf to excel as I often need to collect data from pdfs. I also use the measurement tool often to determine location of certain aspects in engineering plans. The user interface isn't too friendly, but the online resources are helpful. A lot of the icons on the main page are not truly indicative of what the icon does. Also I find that if you accidentally lose a banner item, it could be hard to get it back. If you do any sort of PDF manipulation, this is the product for you. Can cut out pages of a pdf or add pages to a pdf very easily. Can also add electronic signatures to documents. So easy to use, and so many useful functions. I use this program everyday. I couldn't work without it. I use this program everyday, to look/edit/measure drawings. When I receive a large spec book, or contract, I also use the OCR function to make the file searchable. That saves me so much time. I no longer have to dig through pages to find anything. They also have great free, and short training videos. I use them all the time to learn a new function. With so many different functions, it can be daunting. I have been using this program for over three years, and still continue to learn new things. Bluebeam studio is a great part of the product as well. But they need to streamline, and make it more intuitive. It is a great program. I could not do the work I do without it. The iPad version is also great. My team in the field uses it everyday as well. "Positive Bluebeam Revu Experience in Design"
I think Bluebeam Revu is easy to use to navigate and manage PDF files. I’m design, I am producing drawing sheets in Autocad and constantly needing to combine and re-order sheets in files, and this makes it easy and efficient. I also like the auto-scaling dimension feature and how simple it is to mark up files. What I dislike is probably not fair because it’s a feature that is included in Bluebeam Extreme (form editing). I wish it was included in Bluebeam Revu because of how it is included in its competitor (Adobe Pro). I would highly recommend Bluebeam Revu to design firms and contractors alike. I started using it while working for a general commercial contractor and am now using it at a consulting firm. This software has features that are useful for both 'sides of the fence'. If you absolutely require a form editing feature, Bluebeam Extreme has that, but unfortunately not Revu. Business-wise, this product provides features and both our design team and clients can appreciate. This includes Bluebeam Studio which is essentially a cloud collaboration and file sharing tool. This has huge potential (which I am still trying to convince my company to utilize). Our company utilizes Bluebeam Revu as our default PDF program. It is very useful when looking CAD drawings and has a lot of great tools that you can utilize to mark-up the document like highlighting, linking to other documents, and adding comments. The guys out onsite are also able to use it on their iPads which is something that has been life changing for our industry. The one things about Bluebeam is that it is not very intuitive. There is SO much you can do with the program that you would definitely need to undergo training in order to properly utilize it. It also has some trouble loading large files and sometimes freezes up. A work around that I have discovered is if you are working with larger files that are saved on your company's server, to save the document on your desktop and work in Blubeam from there and then later go back and save it to the server. We use Blubeam Revu to view, edit, and manipulate documents, drawings, plans, and specs. We are slowly moving away from hard copy drawings/documents and making everything electronic which makes things so much more accessible to everyone in the business. It also allows for better communication for those who are out on site with those who are in office and allows real time edits and markups to be made and seen instantly. I love the ability to add notes, shapes, measurements and more to existing blue prints. Bluebeam is not only good for blueprints, but also for other PDF documentations that may need simple editing. Take the available 'free' online courses that Bluebeam has to offer. The courses go a long way in helping users understand all that the program has to offer. The best way to keep all that you've learned ingrained is repetition. Not all users will need to know all the program's features by heart. We are able to solve errors on blueprints such as missing measurements, missing plan lines, etc. The best benefit of Bluebeam is being able to edit a plan file directly, while also being able to control each edit individually as an independent layer. All layers and also be 'flattened' into one piece. "Almost full featured PDF software package"
Packed full of useful feature with an easy to use interface makes Bluebeam a great pdf software. The interface can be a bit complex and not great support for geopdf and geospatial pdf's. The price is getting too high when compared to Acrobat DC Pro since you have to purchase the license and then add maintenance on top of that if you want to keep getting updates. Having to buy the most expensive version to edit Forms is not ideal. Give it a try and learn what it all can do. It's great for pdf editing and markups which saves paper and is easier to keep a record of the markups. I love how versatile this software is I use it daily for almost everything that I do as a project engineer. I use it for creating RFI, reviewing submittals, rough take-offs, viewing and marking up drawings, and much more. For each of these tasks Bluebeam has tools that make the process easy, quick and accurate. I have a hard time finding things that I don't like about Bluebeam, one thing that I have found difficult with Bluebeam is while it has many tools and options it is to the point where it is almost too many tools and options. I have been using the software for close to three years now ona daily basis and I still am learning about the tools and how best to use them. The basic principals and working of Bluebeam is still quite simple but getting into their advanced tools and uses does take an investment of time and practice. I highly recommend this software to anyone who is looking for a good PDF viewer. I have found that Bluebeam can do so many things that I almost don't need to use other software. Previously i used a whole slew of programs to complete various tasks similar to what I mention above but with Bluebeam I have discovered that many of these tasks can be completed in Bluebeam eliminating the need to switch between other software as well as saving costs for software that becomes redundant when weighing the uses of Bluebeam. Document management and real-time collaboration are built right into Revu. Studio Projects give your customers a single centralized location to store documents—even entire building projects—in the cloud. And Studio Sessions let project teams review, mark up, modify and update the same files at the same time. So partners worldwide can instantly connect on the same set of documents. This software is great for blueprint takeoffs. Easy to use and very useful tools. Also it is great for PDF edition. The updates are making the product much more useful and easy to use. You have to take your time to learn about the features of the software, otherwise you may be under using it. The Mac version is not very complete. "Bluebeam does what Adobe doesn't." Bluebeam is a very comprehensive software for viewing and manipulating files such as pdfs'. It is easy to learn and has all the modification tools you could want while also being able to work on CAD files. The interface is a little dull with the stark black. This does not affect the performance, just a personal opinion on what is easier to use for longer amounts of time. It also seems to advise on simple "errors" too much. For people in the construction industry it seems like a more usable program to solve many issues. It is a system that allows an entire company to use one file viewing software from estimators and engineers to accounting and administrative staff. It is quick for new employees to use and learn. I believe it is a cheaper license for companies over all. "Intuitive Program: Does everything you expect, and much much more!" This program is especially beneficial for designers, architects, engineers, and anyone else in the construction or design build industry. It not only has the capabilities of Adobe Acrobat with creating forms and generating and editing PDFs but also includes features such as measurements, square footage and area take offs, present and custom tools and stamps for even more detailed markups. You can email directly from the program as well, and import non-PDF documents (such as Word and Powerpoint files) into Bluebeam as a PDF. My time spent in Bluebeam over any other PDF software increases my efficiency, productivity, and results by tenfold. It's difficult to identify ways in which Bluebeam can improve. Some times we've had issues regarding logging onto Studio Sessions and having work automatically save to the cloud/server. Any issue I've come across has successfully been troubleshooted at this point in time. It may also be nice to have the software also take on the role of a presentation editor (such as In Design or Powerpoint), where images can be aligned and snapped to a grid. At this point I don't believe BlueBeam emphasizes this. What I love about this program is that it's a one time use license and doesn't require monthly or yearly license renewals unless you are wanting to upgrade to the latest version. There are plenty of capabilities that no other PDF editor software has, and the program doesn't too much of a learning curve associated with it. The amazing thing about Revu is the ability to host studio sessions, where multiple people (Bluebeam users and non users alike) can access a single PDF and view and edit the document together in real time. This solves an incredible issue in the design and construction industry. Previously, comments and quality control checks on a deliverable could only happen "one by one". Now multiple people can contribute all at once, fostering a collaborative and interactive environment. This benefit was one that was essential to our industry and company. Bluebeam offers almost all the features a contractor could ask for in an intuitive manner. Overlays, area highlights,, markup all are easily created quickly and with a professional appearance. Bluebeam overs online support for new employees to quickly hit the ground running. The extraction feature is also highly useful as you can pull together the drawings and specs by trade to streamline communications with subs. This is particularly useful for scope reviews and reduces the back and forth during bids. Their mobile version is not on par with the desktop software. If you are a company that deploys iPads to the field, you'll find that your staff typically makes notes that they transcribe to Bluebeam once they're back at the field office. I also would not use the takeoff feature as an absolute. It does the job well enough to make a quick judgement but typically won't cut it for estimating. There also is a learning curve. Many of the features are powerful but are located in odd areas and the interface is slightly clunky. This means that if you don't invest the time to educate users, they will only be using a fraction of the capabilities the software gives them. Training is key. If you want to fully transition from another software, designate first users who can then use internal examples in order to bring the rest of the team on board. Communication between staff, subcontractors, architects and suppliers. "Good program, I use Bluebeam daily. " We use bluebeam to combine pdfs from multiple programs. We also use the measure tool and some of the takeoff tools when needed to draw as builds. Great program overalll. It is a vital part our firm daily workflow. We use it to combine our PDFs and make sure all the drawings are to scale. It saves us time over other software we used in the past. We do all of our shop drawing reviews digitally with Bluebeam. "Helps me keep track of things I might otherwise forget." The ease of use and intuitive tools. More often than not, if I want to do it, Bluebeam can do it. Certain features I’d expect are absent. For instance, I wish I could sort the measurements by their type in a hierarchical way like you can when you export it to CSV, except directly in the measurements tab. Give it a try and become familiar with what it can and can’t do before making a decision. Lots of potential. It helps me keep track of my quantities takeoffs as well as reducing paper waste from paper plans. I really like the collaboration tools and the ability to make complex mark-ups on PDF documents in the Bluebeam session. I wish I could open more than a single PDF at a time and have them all on the screen. Perhaps a tabbed browsing feature would help. Be sure that your clients are also using Bluebeam Revu before making the investment. Bluebeam Revu allows our engineering firm to collaborate with our architectural clients in real time. We can share and review documents as a project progresses and everybody involved can participate in the review process. "Great program for quick redlines"
I like how quickly the program can edit pdfs. I often work with other collaborators. so being able to use arrows, bubbles, text box and arch tools such as doors. I am able to create a visual example for my collaborators on how the drawings should be. the best part is the scale. Its so easy to plug in the right scalebased off of two existing point of the right measures. I wish some of the tools were not as discreet within their tool bars. It would be easier to take a sketchup like toolbar where I can access all the tools with one click. Versatile PDF reader, create, combine, export and mark up drawings and PDFs, work online to collaborate with other team members to work simultaneously on a PDF, create and respond to comments when working online. There's almost nothing to dislike about Bluebeam except when you are working online, it disconnects frequently and sometimes the login does not work. Drawing markups, create and export PDF drawings, batch and combine all or some PDFs, work online to collaborate with other team members to work simultaneously on a PDF, create and respond to comments when working online. The only con I can think of is that at first use it can be quite hard to get used to the user interface as there is a lot on the screen. I would recommend getting in touch with a rep to see exactly what version you might need. They are helpful and knowledgeable on their product and can get you going pretty quickly. We use this to organize our PDF's, search and markup mostly. We use it for our construction purposes, and the takeoff ability is very useful. It also exports the information to various formats so the whole team can use it. "All in one PDF program"
Bluebeam gives me the ability to create PDF documents from MS office formats, as well as working office documents from PDF files. The ability to protect files after creation so only certain team members can edit them. I also enjoy the ability to modify documents with both standard text, as well as callouts and highlights. Overall there are more features than I can utilize, so the cost of the program isn't being fully utilized. some of the more legal type functions just aren't needed in my day to day usage. Definitely take advantage of the training opportunities. It is great to work with almost all of the documents sent to me and organize/note and save in the format I'm needing. "A powerful pdf editor for the modern work enviroment"
The program is an extremely powerful pdf editor that allows for easy pdf manipulation ranging from combining documents, adding markups, editing embedded text, and anything else I need to edit pdf documents on a day to day basis. If you need to make notes, edit, or manipulate a pdf document this proram is a must use. "Bluebeam is a valuable tool for team use"
Similar to Revit in the fact that teams can work together on a single file simultaneously. This allows for many people to be contributing not only within an office but around the world. This is so important for Architecture as it takes many trades to put a project together. It has a lot of functions and I only know basics at this point. I really need to dig in and learn more so I can use it efficiently. At this point, it's a little clumsy. Take tutorials to learn the ins and outs of the product. I know how powerful a tool it can be by watching team mates use it daily but when you don't use it as frequently, it takes time to learn everything. Coordination within our design team and quality control. But not only is it useful within our small internal team but we collaborate with many others in which the same file is shared. When one consultant needs to update their drawings or information on a project, another team can alert them to the issue and highlight next steps. "BlueBeam is the most powerful tool in my arsenal for Construction Project Management"
I really like the flexibility of the product and ability to accomplish so many different tasks. The more I use BlueBeam, the more tools, tricks and processes I discover that help my day to day work. My only complaint with BlueBeam is that others don't know all of it's amazing functions. If my whole team knew all of the tools, we'd really be moving the pedal to the metal. Use the learning tools and videos online. The tutorials on BlueBeam's website will help you become a power user and really optimize your experience. You will learn so much by dedicating just a few short minutes on their webinar page. BlueBeam helps solve logistical issues with it's ability to markup drawings, its takeoff tools, drawing abilities and search and sort functions. "Amazing Once You Get Past The Learning Curve"
It was super quick, I didn't have much, or really any, lag with my inputs and the program showing it on the screen. Once I learned the program, I was able to knock out my projects pretty quickly. It had a bit of a learning curve and not a lot of information to help me learn how to use it. Once I played around with it, I got the hang of it, but the first couple days were a bit of a struggle. It can also be a little sparse with the options you have for editing and marking the sheets. For basic editing and marking, it is great once you get the hang of it. For anything more complex and design heavy, a more design-centered program may be up your alley. I would use Bluebeam for basic editing of sheets or marking necessary changes on plans I was sent. I must admit, I used nothing but adobe like most others. 4 years ago I was introduced to what I thought was yet just another program to learn that I would hardly ever use. That turned out to not be the case. I have been hooked and have never looked back. The features that are offered such as the measure tool is amazing! Adding and cropping and duplicating an item on all the sheets such as a signature. I love everything about it! I actually don't have anything to say here so I will instead complain about Adobe Acrobat. Why did they need to change the look of it? All the buttons are in weird spots and could care less to look for them. Bad move Adobe, bad move. It costs money but is worth every penny! It is very easy to just jump in and start using. Jump over to youtube and watch a few tutorials and you will be on your way to making professional documents and your customers will notice. Oh, just about everything! Sending architectural sheets out with notes for consultants. Setting up complete drawing sets for city reviews. Compiling reports for clients. "Great All-in-One Tool for the construction industry and worth the money once you learn how to use it"
You can create, edit and markup PDF files with ease, saving time and improving communication within your organization. The cloud storage options allow you to share documents with co-workers and customers. It’s definitely designed with the construction/manufacturing industry in mind. Our project managers love being able to mark-up drawings right from the job site. It can get buggy when you are combining large PDF files; so you have to close down and restart the program. I seem to have that problem most often when trying to combine Photoshop PDF files with regular PDFs. Unlike Adobe, BlueBeam can’t open documents with file paths exceeding 256 characters. There are also few fonts that BlueBeam doesn’t recognize; which can make it hard to edit text, so make sure to steer clear of using any really fancy fonts. The PDF printer sometimes crashes when you collaborate with Microsoft Word...so be sure to save on a regular basis. If you work in the construction/manufacturing industry, there's no better software for working with PDF files in this price range. I think it has great value once you learn how to use the different editing options. BlueBeam lets our project managers and drafters mark-up PDF drawings easily with many different tools for highlighting or red-lining. But the “game-changer” has been giving project managers the ability to save files and look at them when they are on location at job sites. Once the drawings are synced, you don’t need wifi access to open them from a remote location. This gives project manager the ability to make notes directly in the field. What also makes BlueBeam worth its hefty price tag are the construction industry specific tools for things like drawing management and project take-offs. The amount of functionality that comes with Bluebeam is amazing. I use this software everyday whether I am updating plans, working on submittals, or doing some simple takeoff. So far the only downside I have is with the latest version UI. The change was drastic in appearance and although it was meant to improve speed, the Ribbon display was removed and now it works similar to an old version of windows with dropdown menu after dropdown menu. If you are looking for a PDF software that is worth the price than take a look at Bluebeam. Markups, Estimation, its own built-in cloud service, and the customization makes it worth it. "Adobe who? Bluebeam is the leader of the pack!" Bluebeam gives you the ability to scale drawings on bluebeam quickly and efficiently. We can also markup blueprints, add notes, and zoom in up to the 1000x. I feel Bluebeam gives you more tools/options than its competitor Adobe. Cost of bluebeam can get a bit pricey. (One seat at about $349 is no joke.) And in a company of 150+ .. price breaks aren't quite as significant as they could be. Do not get overwhelmed with all the tools/features. There is very easy explanations for every tool online with a basic google search. We are able to scale drawings on bluebeam quickly and efficiently. We can also markup blueprints, add notes, and zoom in up to the 1000x. "Use it for anything and everything"
Ease of adding and keeping track of sheets. Ability to scale pictures for needed design measurements that weren't available in our data. When printing sheets that contain Linked Excel boxes, have problems about 99% of the time and have to shift to Adobe to print. It blows Adobe out of the water. Printing and combining large amounts of sheets, all different sizes and scales. Printing to BlueBeam from any software (because it's installed as a printer) makes it very easy when saving as a PDF is not an option. "The best and only PDF tool for AEC." This tool excels at making PDF editing simple for those in Architecture, Engineering and Construction. Even using the basic tools such as the virtual printer AutoCAD or Revit, you're sure to make your money back on productivity. Advancements have slowed in the past couple of years. I'm not sure that being acquired by Nemetschek was a good thing. Evaluate your PDF options and I guarantee you won't find a better product if you're an architect, engineer or builder. All of our PDF review, editing, and collaboration occurs using Bluebeam tools. The web-based collaboration tools have probably been the most beneficial. Bluebeam provides a great experience for PM's to integrate multiple facets of their daily correspondence, files, plans, and project over-site into one single program. The program allows for great scheduling oversite and CAD file integration into a single point system. Bluebeam does not work well with integrating other parts of the operations such as accounting, marketing, or sales without specific additional add ons to export projects from one system to another. Bluebeam Revu is a great program for Project Managers in the construction industry looking to integrate over site in multiple areas of their projects. Bluebeam allows us to easily use all CAD, REVIT, and other architectural schematics into a single system and convert them with the assistance of scheduling that translates into PDF's for Owners and Subcontractors. It has allowed for easier Project Management. It's affordable, and the electronic review component of the program is heavy in features and easy to use. The majority of my experience with the program was to review construction drawings. In comparison to Adobe, there is more of a variety of tools, shapes, call outs, etc. No formal AODA compliance tools, but there are some workarounds but not a complete solution. A simple sit down with an interpretive service for AODA would help the company provide those workarounds to sell more licenses to organizations that provide services/documents to the public. Wasn't a huge fan of the dark theme, but when you're working with white documents all the time, the contrast is helpful. Trial first, if it does what you need, you'll notice it does it well. Pricing is fair considering it is not identical or superior to Adobe, but is a fair alternative for most users. Enhancing document reviews through efficiency, document creation and maintenance. We've obtained several comments from clients who get clean, clear comments from our reviews. Our reviews simply look much more professional than our hand written reviews were. In addition, no need to scan written comments as the PDF has already been created. BlueBeam solves the issues of assembling signed contracts and documents, marking up construction plans, and creating information documents to present to the government leadership. It has allowed us to make digital documents for small bid jobs that we normally would have marked up a paper version and scanned it in which does not look professional. "Great software for MEP Modeling & Coordination." Very user friendly and you can create professional looking documents in just minutes using the many features the come with the software. When I have a document with some pages portrait and others landscape I can't rotate only a single page. For the price you need to buy this software. It seems like I'm fining new uses for this software every week and not this is the standard for our company. I use this software daily to print my drawings to PDF, print 3D models directly from Revit to send to the engineering team for review during modeling for review and edit or create PDF's directly in the software either from CAD files or images. We are able to set the scale on a PDF drawing, measure and do a quantity take-off within the program. This data can be exported to Excel to finish the pricing. Bluebeam is a platform that helps to create quick and simple markups on pdfs. It allows for text overlays, filled regions, line work, stamps to be placed on top of drawings. Some of the switching between files and pages can be cumbersome. The Bluebeam platform has allowed our office to easily markup submittals, reply to RFIs and create quick sketches to send to clients, contractors and consultants. I have multiple favorite features. (1) I can calibrate the document to real life scale, and measure plans as necessary. This is very helpful if you if you want a quick measurement not shown on the drawing OR, is you want to redraw plans--which are missing dimensions. (2)I can reduce file size SIGNIFICANTLY, better than any other software I've used. (3) I can combine multiple projects, extract and create new documents--very intuitive. (4) It has tools which make it very easy to redline pdfs for my consultants. I would like to have the software recognize scanned documents as text. If you are a designing company this is definitely worth the investment. Plans tend to miss information that the previous drafter did not consider important enough to all out. We use this when there is no digital version and we must scan plans, open in Bluebeam Revu and start dimensioning what we need. I work in the architecture industry, and we use this to PDF print our all of our documents from small scale business cards to large scale 36x48 construction documents. "A must have for the CAD user"
This tool is one of the best innovations to the architecture/engineering industry, hands down. Gone are the days of lightboards, long hours checking for minimal changes between v1 and v2 of a CAD file. This solution has so many uses, from CAD files to basic office work, its amazing how little known it is. The clear cloud formations placed on differences from v1 to v2 make marking up these PDF's quick and painless. And the ability to collaborate in studio projects makes this a no-brainer. Sometimes the product would load very slowly from AutoCAD. I'm not blaming the software per se, but exporting CAD files to PDF shouldn't take more than a few seconds, and there have been times where it took close to one whole minute for a single page. However, I could possibly chalk this up to my older PC. Also, as both a PC and MAC user, I am frustrated with the program differences from the PC version to the Mac version. Get a trial version of it, and you'll soon realize how helpful this tool is. Marking up PDF's for the A/E/C industry. PDF changes, collaborating from the field to the office, and general PDF reviews made this solution a must have. I like how easy it is to create a PDF from a word document. I have tried using the Adobe version of this and it isn't as smooth a transition. I'm still learning the program, but one thing I have had issue with is the set up of the program to make sure everything flows properly. Had some difficulty finding the setting to eliminate the opening of Microsoft Edge to view the documents on one computer. Also, the fact that neither Firefox nor Chrome are supported. I think this program is much easier and more powerful than Adobe. We are solving the problem where we need to scan something and send it to our computers in order to have it in a PDF format. Benefits we have realized are, time savings for employees and not having to wait if a copier is down for some reason. "WOW...Features Galore. I wish I knew them all!" I recently started using Bluebeam Revu at work. We use it to review PDFs and make edits. I love the real-time editing and commenting and of course the ability to use stickers or call outs for specific purposes. The amount of features is kind of overwhelming. I wish there was better training available or a tutorial that launches when you first open the app. I've learned a lot by playing, though. Find a good training program or class. "Bluebeam is a staple in the AEC industry"
Bluebeam Studio is an excellent collaboration tool for both document distribution (Projects) and interactive editing (Sessions). Limited support on Mac (probably abandoned). New 2018 interface is almost too minimalist. If you work with Architects, Contractors, and Engineers, it's almost a must. While it's good for compiling and marking up PDFs, the real power lies in file sharing (via Studio) and data reporting (creating itemized punch lists and tabular schedules out of markups). Great for collaboration with other entities in the construction industry. Powerful, focused markup tools make common architectural workflows simple. Tracks and reports markup data better than any other solution. Bluebeam is a review program for all pdf documents that let's you edit and draw directly on pdfs for submittals or shop drawings or any sets for mark ups. The commands aren't as intuitive as you'd want them to be but they're sufficient for use. Yes I recommend it to all professionals. I am constantly using Bluebeam to review shop drawings and submittals, marking up sets, responding to questions and requests for information. It has been very helpful. 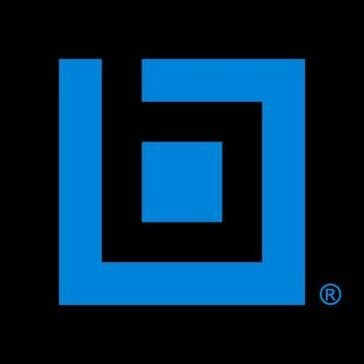 "PDF Markup Tailored to Construction"
Bluebeam is a powerful PDF viewer/editor with a large array of markup tools. The ability to calibrate a drawing and take or add measurements is extremely useful. When using Bluebeam there are certain intuitive features of Mac Preview that I miss, such as text auto-aligning with other text or markups. There are also several features that are not live on the Mac version yet (such as "Crop Pages" and iCloud integration). The application can tend to run a bit slow. Windows version is more functional. Can be demanding to run depending on your hardware. Bluebeam is used heavily by the construction management team I am working with, so having it helps me stay in sync. It provides another option for viewing and manipulating PDFs beyond Preview. ease of use in terms of taking of measurements on architecture plans. The scale tool was the quickest to learn and most fool-proof I've seen in any software so far. Bluebeam Revu is limited in its ability to manage construction file types. It would be interesting if it could convert more file types, such as .dwg files into .pdf to make takeoffs more easily. Bluebeam Revu allows our company to produce cost estimates quite accurately thanks to the measurement tools available. This is our main bread and butter. Additionally, the software allows conference editing of files, which we use for other services we provide. I think that the thing that I like best about Bluebeam compared to other softwares is how user friendly it is. So far I haven’t really come accross anything that I don’t like about the software. There are some limitations I’ve found when trying to integrate it into our systems but they are minor. "A great tool for Construction Estimates"
I find very useful the different mark up options to do take offs from bldg drawings. Also, I like the possibility to create, view and edit PDF documents. I used to have Windows OS, now I have a Mac. The software is a lot more advanced for Windows and even though I can still get my job done on Mac, I miss some of the tools I used to have. * PDF File Editing - For Documents and Reports. Its capacity for converting and modifying existing files into other file types, its ease of creating PDF markups, its capability to send secure files in various formats, I like how I am able to label thumbnail images and easily create/add/modify bookmarks (also using the 'auto bookmark' feature to select a specific region on a sheet that the program can read to automatically label sheets), I appreciate all the customization aspects of the markup features (changing border thickness, infill/text/border colors and line weights) and I like how it is visually intuitive. Viewing options (zoom %, full-page, fit-to-width) are always available at the bottom ribbon of the open file; hide-tabs are always available on the left and right side of the viewing pane so they can be hidden when not in use; I like the functionality and property options with regard to the markup tools (in terms of color, infill, border, text selection, size etc. ); The vast keyboard shortcuts for document markups enable greater efficiencies as well. It is incredibly efficient and easy to merge files, extract certain pages of open files, delete a selected page range with in a file, rotate sheet orientation etc. As a design who frequently works in AutoCAD, I also really like the black background of the program! I have found little that I dislike about this program – except for sometimes it gives me issues or freezes (most frequently when I closeout all open files, but still have the program running). Explore all of its features - I started clicking on various icons one day and have learned so much about this program's capabilities! I use Bluebeam on a daily basis. Particularly when I am providing a Quality Control check on construction documentation, I use Bluebeam to markup drawings and give feedback to my team. I use Bluebeam to merge files when compiling Design Narrative documentation and Specifications to supplement the Construction Design drawings, and I use its password/encryption capabilities when I am sending sensitive and confidential information to a client. We also have a plug-in that links the program to our corporate server so we can save files directly. For project specifications, I have also taken existing files and exported the document into a various file formats (working Word file most frequently), from which I can then extract duplicate content without having to retype everything. "Great for PDF viewing, emailing, marking up. " ease of use, PDF compatibility. Great for quick easy mark ups. I know that the program is capable of a lot more but I just use the basic mark up functions usually. Love the highlighting tool, and the callout tool! use those a lot! Can easily import photos, signatures, etc. Can flatten documents, move pages around easily, delete and add pages with ease. sometimes its hard to find simple commands, but eventually do find them. sometimes when printing directly from bluebeam, colors can print incorrect from what is shown on screen. I would like to learn some more of the commands like measurements etc. Have had unresolved printing issues with shapes having multiple colors, but on screen it is just 1 color. I just open it in acrobat to print when I have this issue. Great for redlinining (marking up) consultant drawings, etc. easy to communicate via texts, lines, shapes, highlighting. The markup features for large format files. Being able to collaborate through sessions. The ability to track changes through sheet sets. Being able to comment on markups. You can combine PDFs and split PDFs. Change the order of multi page PDFs. The fact that their program licensing is not network based. The price for a license of Bluebeam is high. BlueBeam Revu is a solid program but the pricing is starting to get high. Digital Review internally. Digital collaboration with an owner. Because of the digital reviews our paper usage has gone down thus cutting office supply costs. * We monitor all Bluebeam Revu reviews to prevent fraudulent reviews and keep review quality high. We do not post reviews by company employees or direct competitors. Validated reviews require the user to submit a screenshot of the product containing their user ID, in order to verify a user is an actual user of the product. Hi there! Are you looking to implement a solution like Bluebeam Revu?